The ECPS Family Resource Center recently took a group of Phillips Middle School sixth-grade students to visit the Poe Center for Health Education in Raleigh. 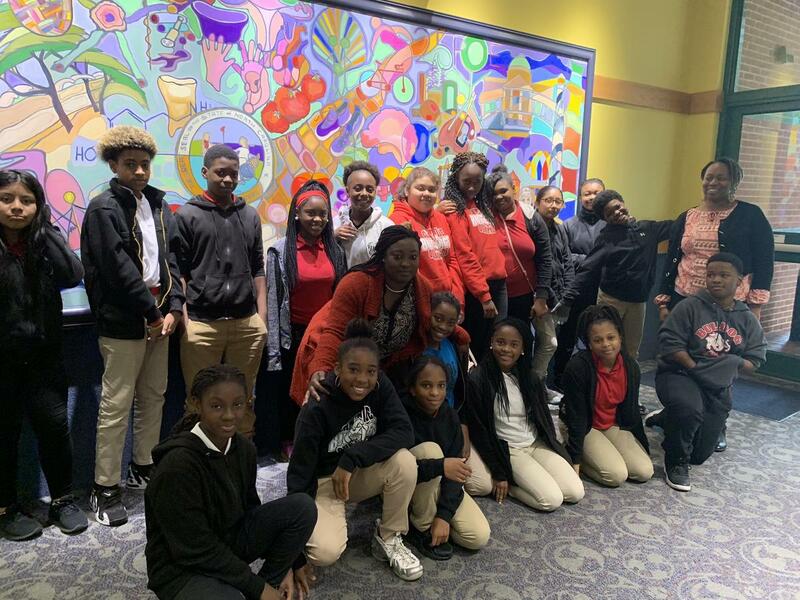 Funded through the Title V Abstinence Grant, students in Mrs. Maya Pittman's Health Class participated in programs such as For the Health of It, Changing Lanes, and Cranium Connection. Through the use of visual aids, interactive activities, and role-playing these students were able to learn about a variety of topics including how the brain works, substance abuse, abstinence and the importance of building healthy relationships. Additionally, the benefits of abstinence and communication with parents were emphasized throughout the program. The Cranium Connection Exhibit is held in a “Brain Theater,” which is housed in the lobby of the Poe Center in a shell whose exterior is representative of a twelve-foot-tall human head. The interior theater features a rounded cave-like space with decorative lighting to simulate veins and nerves. To learn more about the Title V Abstinence Grant, which is now titled the Sexual Risk Avoidance Education Grant Program, please contact the ECPS Family Resource Center Coordinator, Lanetta Scott at Lscott@ecps.usor 252-641-2614.